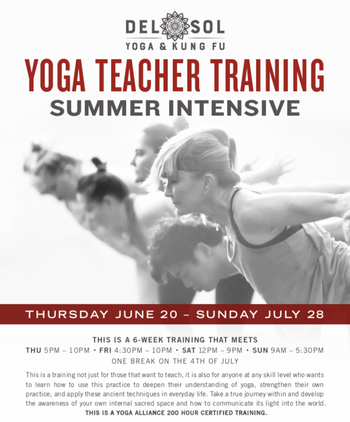 Join Claudia and Thomas for their yoga Summer Yoga Teacher Training Intensive. For 6 weeks, and dive into some deep work. There are 180 contact hours and 20 hours of home work and readings. The training is divided into five modules that explore Ashtanga Vinyasa, Asana teaching (in its various formats of Hot Vinyasa, Slowburn, Yin, and Yinyasa), Assists, Anatomy, and Meditation. You will be able to dive deep into the understanding and goal of yoga. You will come out of the training with greater purpose and with the tools necessary to create a sacred and healing space for yourself and others.